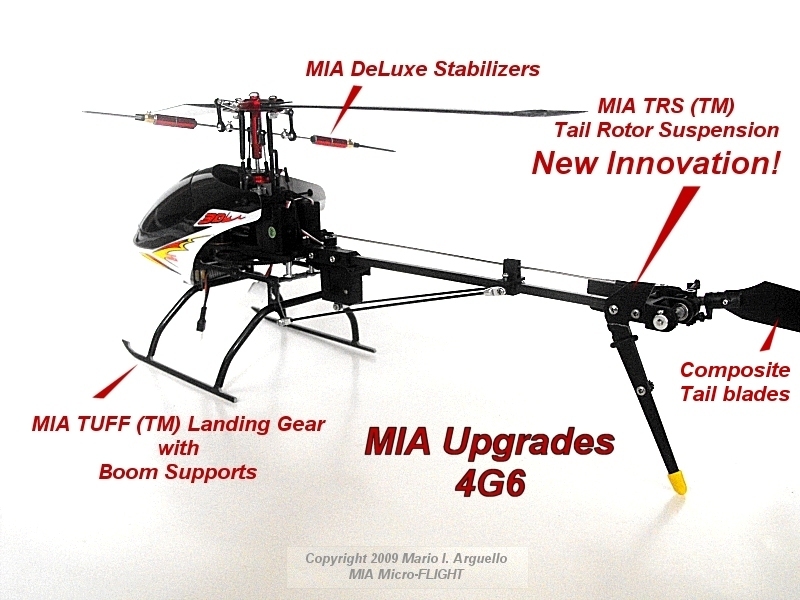 In order to install the MIA Upgrade TUFF LG, Boom Supports and Tail Rotor Fin Guard, the Walkera 4G6 stock LG, front boom support screws, and tail rotor guard needs to be removed. 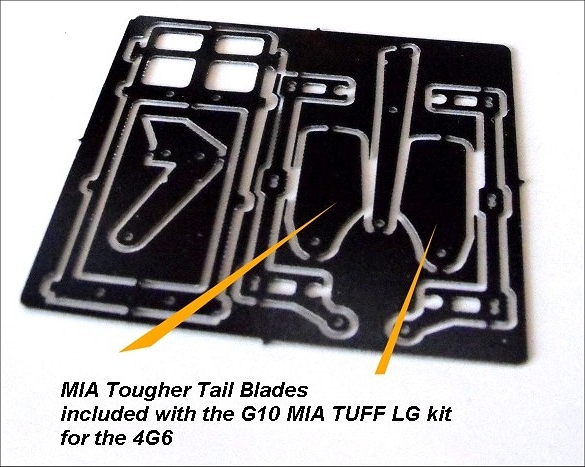 Break off the G10 pieces from the parts tree at the supporting part bridges. 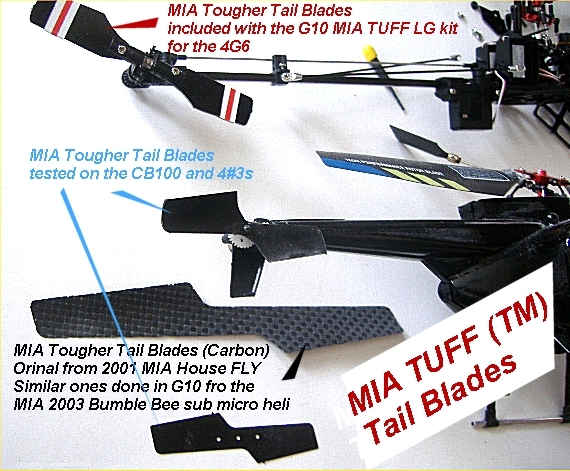 Clean the parts before assembly, test fit the parts using the step by step photos above, make sure you have a clear understanding how the parts are oriented and assembled, then proceed to CA glue all G10 part assembly joints, step by step. 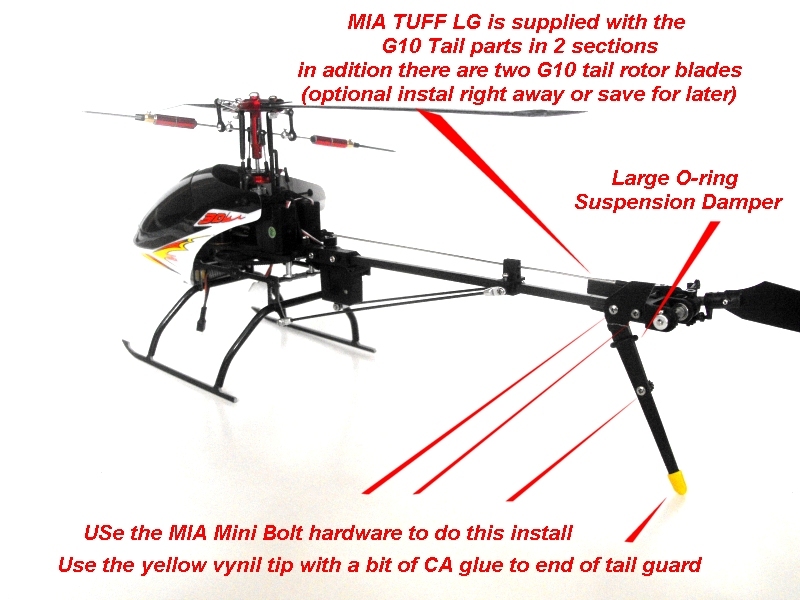 The MIA TUFF LG has boom supports, are in much the same fashion as the original frame, but the boom support rods must be re-attached with the supplied MIA 3/16L Pan head screws and 2 Nuts. 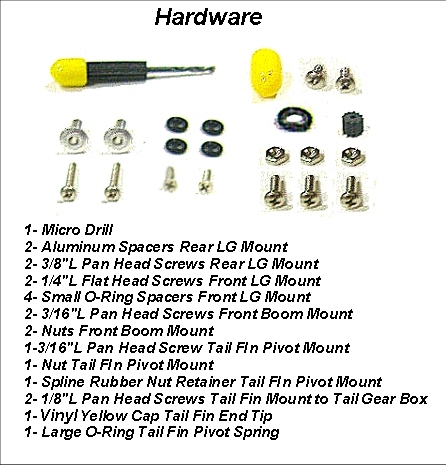 Use a bit of Loctite or Rubber Contact cement, on the nuts, to prevent them from loosening with use. 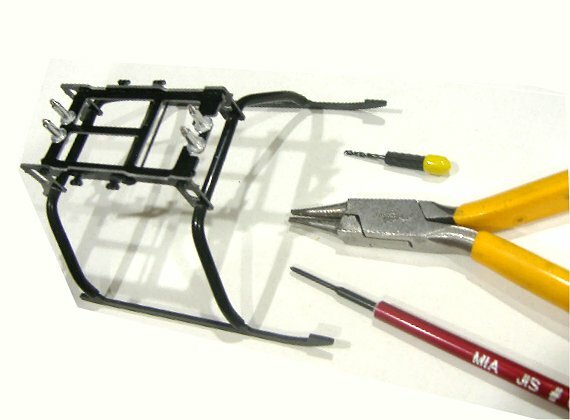 The bottom of the stock plastic frame LG mounting holes need to be enlarged with the supplied MIA Micro Drill bit, to accept MIA hardware easier. The supplied 2 MIA aluminum spacers go on the rear of the frames with the longest MIA 3/8" long Pan Head screws. The 4 small MIA O-Rings go in the front of the LG mounting, 2 per mounting screws installed with the small MIA 1/4" Flat Head Screws. 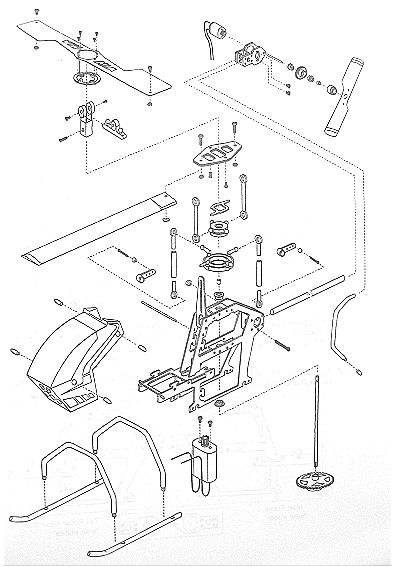 The screws will self thread with a bit of tension, work each one at a time. 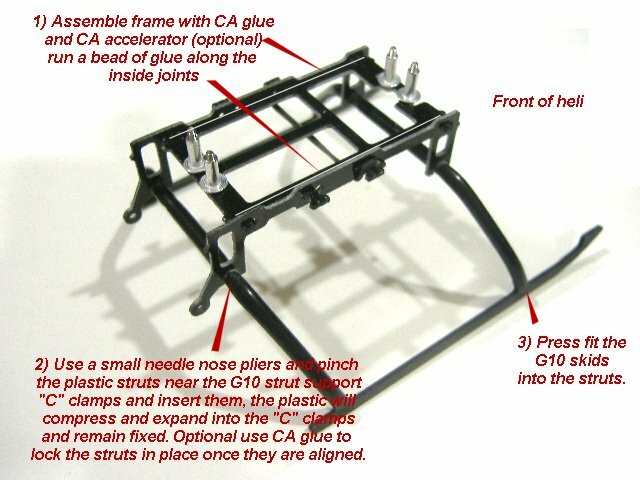 Do the strut installation after the strut support assembly is fastened to the stock plastic frame. 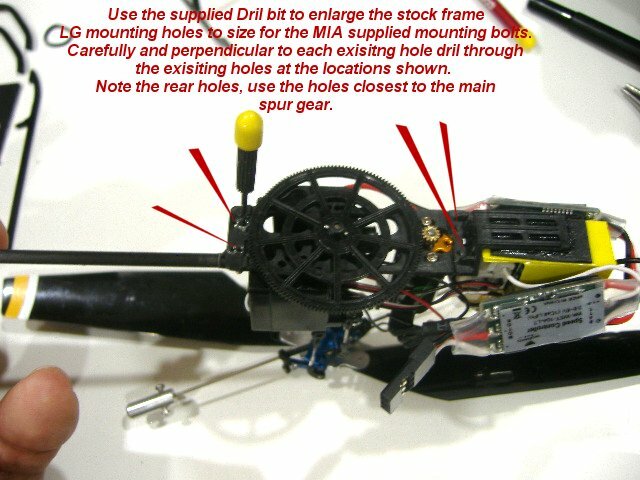 The battery is simply tucked and held with a bit of pressure from the front plastic strut and under the battery support. Use 2 rubber bands at the front of the strut support plate to further hold the battery in place. 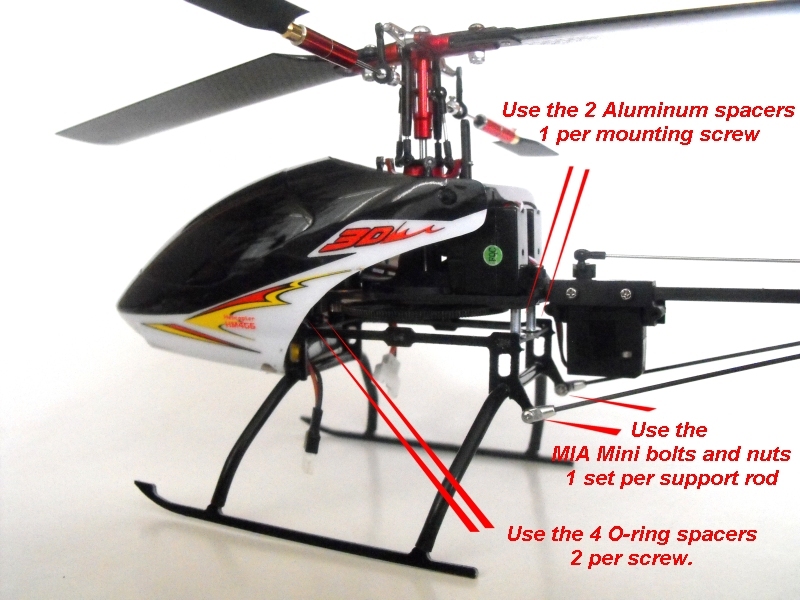 The battery can be adjusted for/aft for adjustment of CG, the helicopter typically balances directly under the center of the rotor head. Web Site Content, Product Specifications, Product Availability and Prices are subject to change without notice.